Fidelism Practice or policies of Castroism. What are the social and economic policies of Castro? Yes, enlighten me. Fidelism = application of Castroism. But what's that when it's at home? LPCism = application of Pastry Chef's policies on old game copyright. This means nothing - only when one speaks of what the policies are, is any headway made. It can't be dead because it was never alive. Pure communism never has, nor ever will be practiced in the real world. Yes, all concepts are dead. People make them live. Fidel isn't dead. And when he does die (probably not that soon) socialism won't die in Cuba. It's become too ingrained in their national identity, and they've overcome far too many hurdles and remained strong. Most Cubans understand the consequences of selling out like China. Or the capitalism countries will choke them. And no I cannot find 5 message boards like this. RedACE, what the hell are you talking about? What newsgroups? Were you the only member? 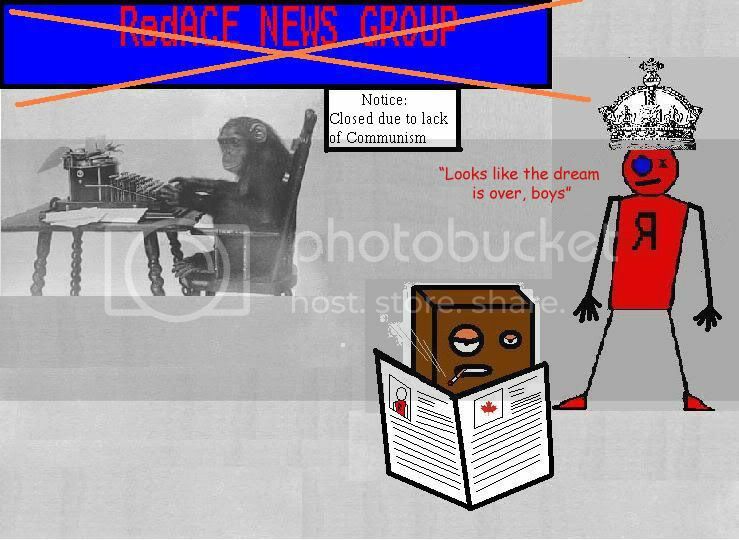 I for one would love to have a link to redace's newsgroups.